Jakarta, Indonesia is not on my bucket list but whenever my husband goes to Indonesia, a part of me wants to go with him because I like his accommodation. You know that my son and I love hotel staycation and parang ang sarap magstaycation sa Jakarta. Last Thursday, my husband told me that he needs to go to Indonesia and he said he will stay at The Westin Jakarta and I just said okay. 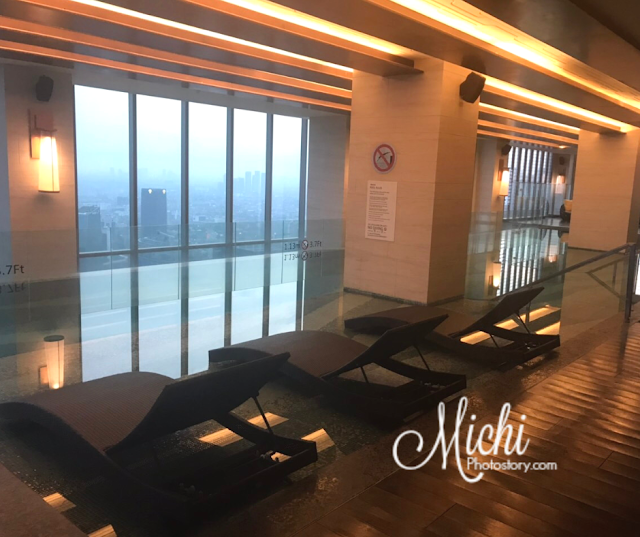 My husband stayed at Westin Grande Sukhumvit Hotel in Bangkok so in my mind, same lang sila but the following day, I searched for this hotel and at that moment, I wanted to book a flight. Hehehe! But no more flights at Cebu Pacific Air and PAL has Premium Economy and Business Class flight only. Too expensive for two nights trip. Kaasar! Bakit kasi two days notice lang. My husband booked online and he received the confirmation after a few minutes. The payment was already charged because of the no cancellation policy. I’m not sure if that is always the case or is it because my husband booked a day before his trip. Good thing that despite the heavy rains there was no flight cancellation last Sunday. 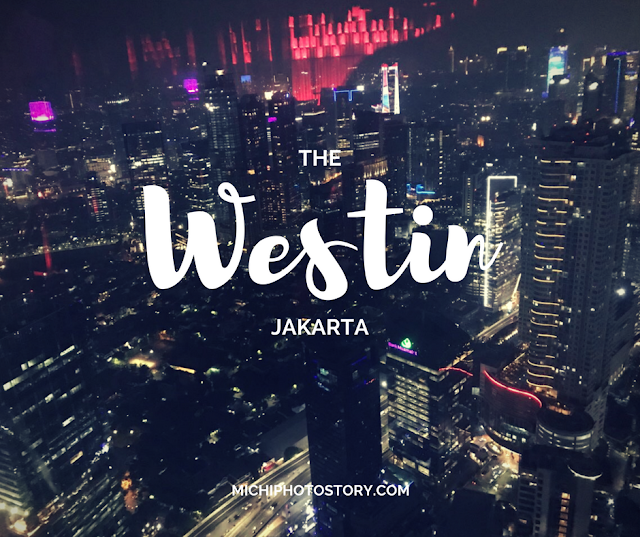 The Westin Jakarta is a 5-star hotel and one of the newest hotels in Jakarta. 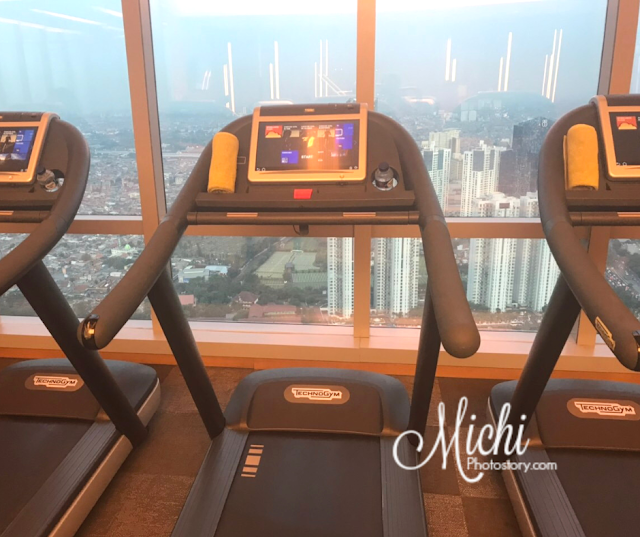 It is located on the top 20 floors of Gama Tower, the tallest building in Indonesia. 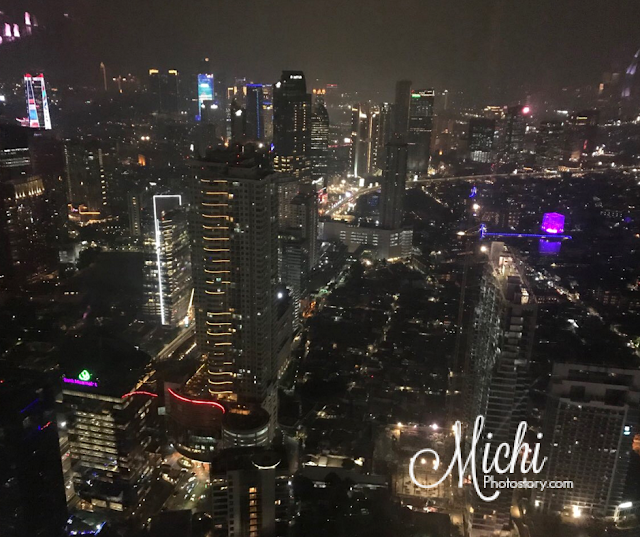 It is in the heart of the city so you have stunning city view whether day or night. 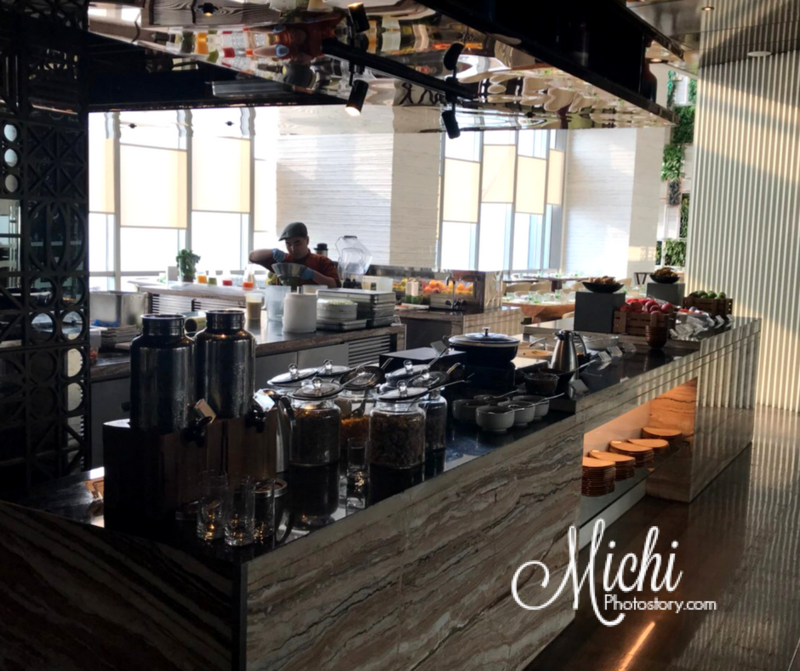 It is near shopping malls too so if you like shopping, this hotel is for you. 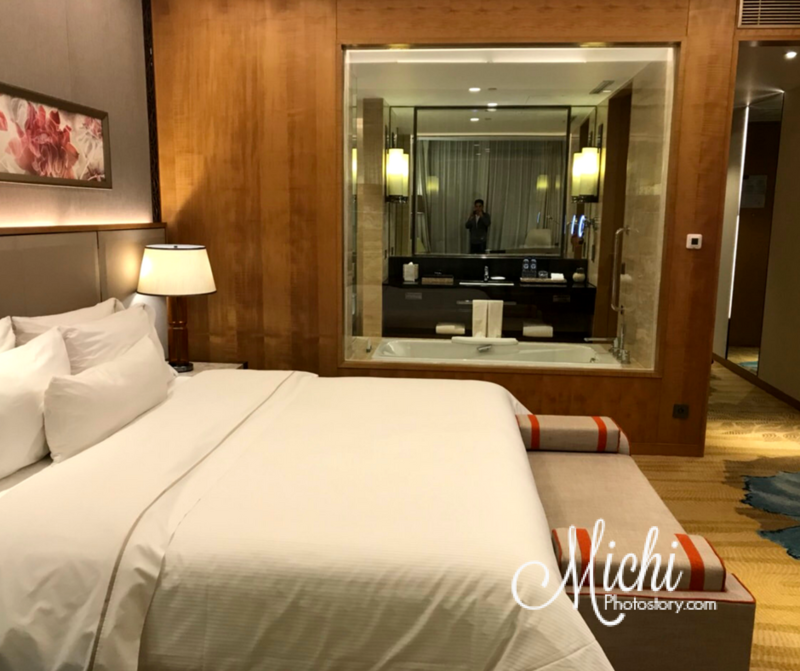 One thing I noticed in Indonesia, their hotel rooms are always big compared to other countries. The smallest room is 46-48sq meter. 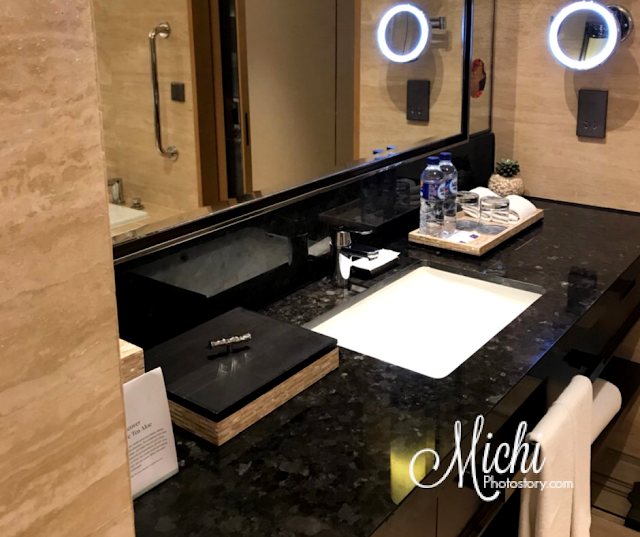 The design of the room is similar to Four Points by Sheraton Bangkok, it is just bigger. 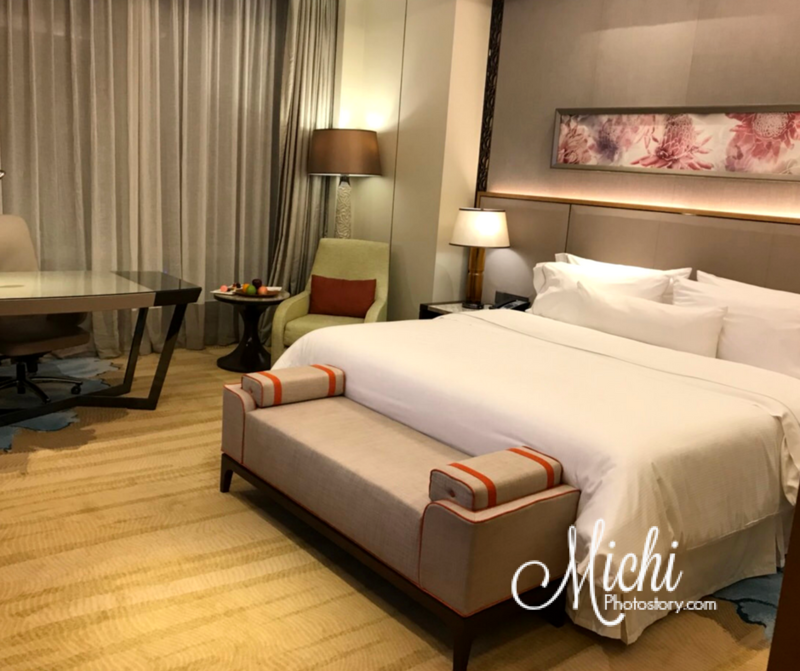 This was the first time my husband stayed on this hotel but because he is SPG Member, the hotel gave him complimentary dessert and drink coupon. Additional 5% discount on their hotel rate too. 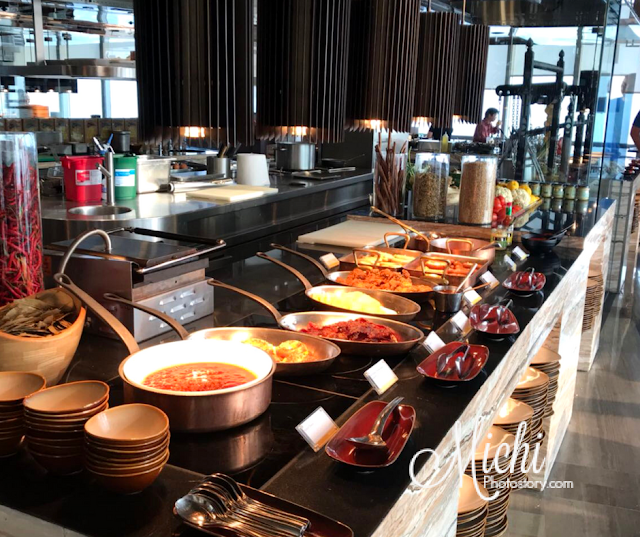 Tip: If you are a frequent traveler, business traveler or you love hotel staycation. Don’t forget to sign-up for hotel membership card. It is FREE. You get additional discounts every time you book. And sometimes they give freebies like complimentary desserts or drinks. 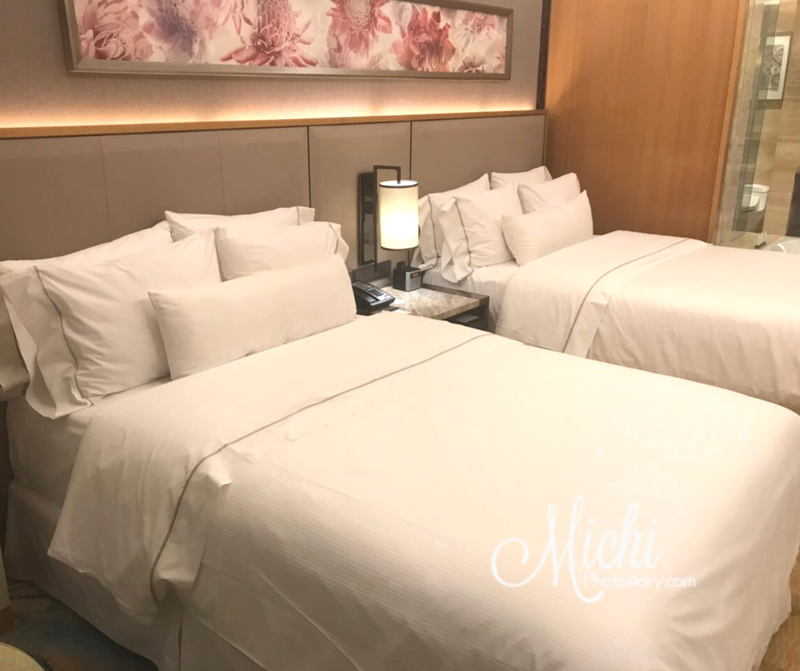 They say that they have a heavenly bed but my husband still prefers the bed in Hotel Mulia Senayan, yun pa rin ang favorite hotel beds niya. 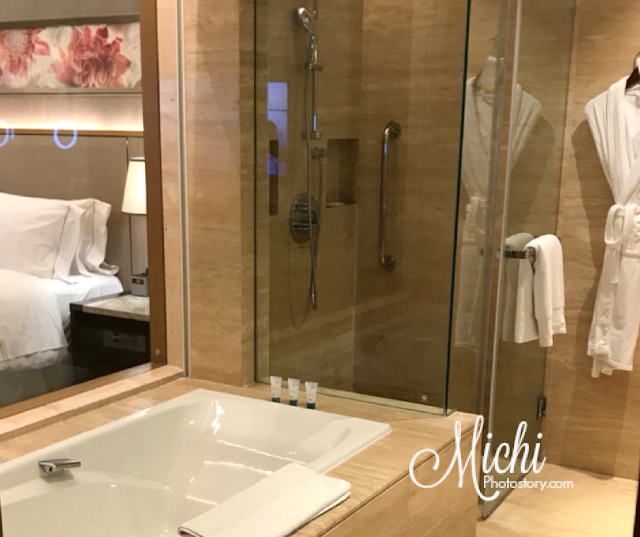 It has a separate rain shower and bathtub so plus points for us because we love bathtubs. 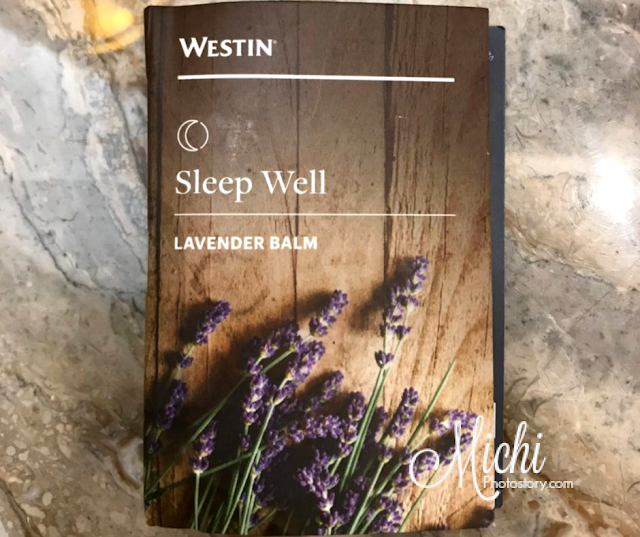 The toiletries are similar to other Westin hotel except for the ‘Sleep Well Lavender Balm” so I told my husband to bring it home. Matry nga kung makakatulog ako ng mahimbing. 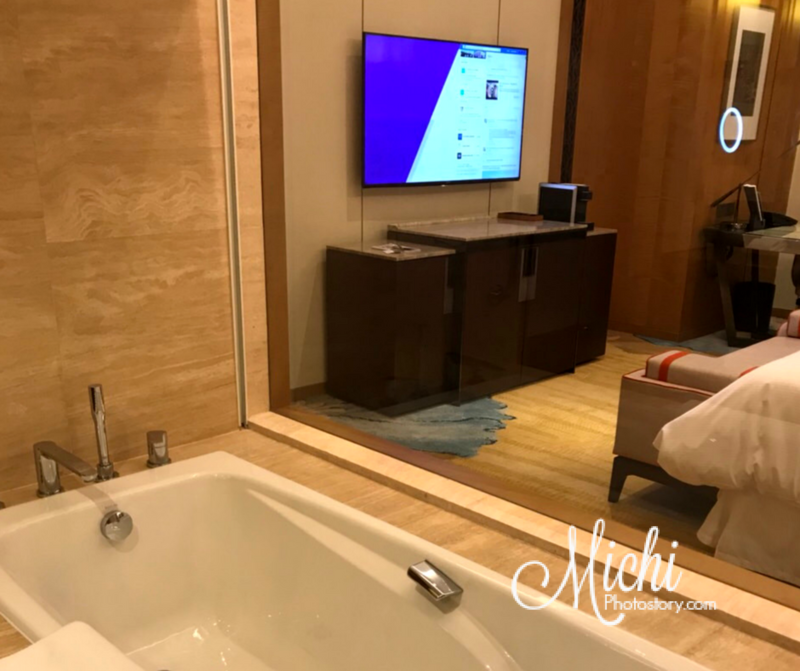 My husband stayed for two nights or should I say one night only because of the delayed flight, madaling araw na siya nakarating. Hehehe! So he was not able to explore other facilities of the hotel, but The Westin has 24 hours Fitness Studio, Spa, and Indoor Heated Swimming Pool. 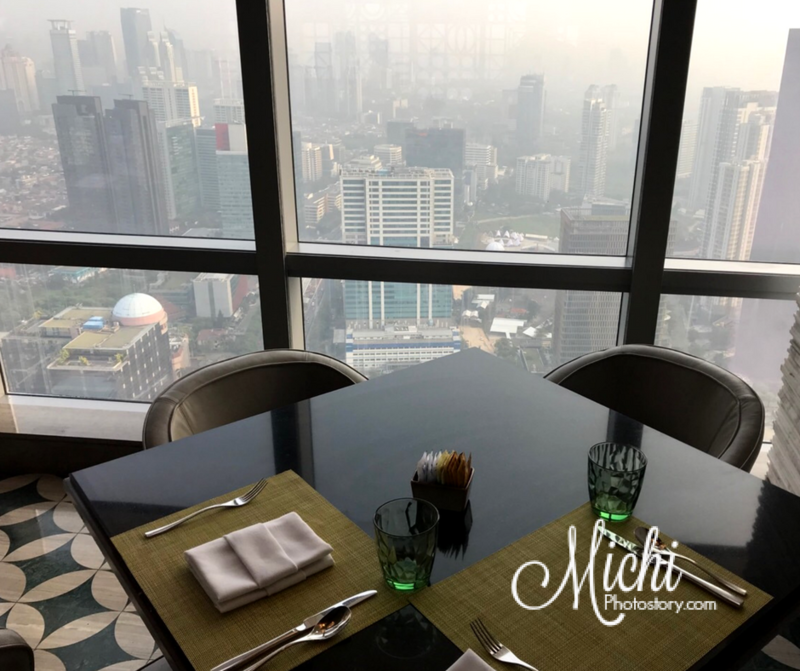 My husband went back to Jakarta and stayed again at The Westin Jakarta. 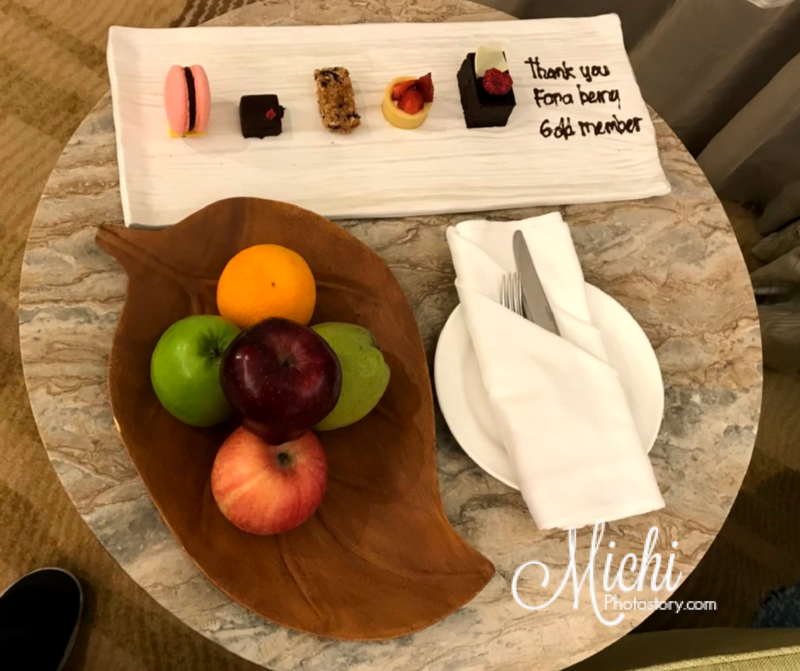 He was a returning guest so he was a little disappointed because there were no complimentary fruits and desserts in his room. So there is no consistency on the way they treat loyal SPG member or returning guest. This is one reason why he likes Hotel Mulia Senayan, they really know how to spoil their returning guest. No more king-sized bed so he stayed at Westin Twin Rooms, but looking at the photo, ang laki pa rin ng bed for a single bed. 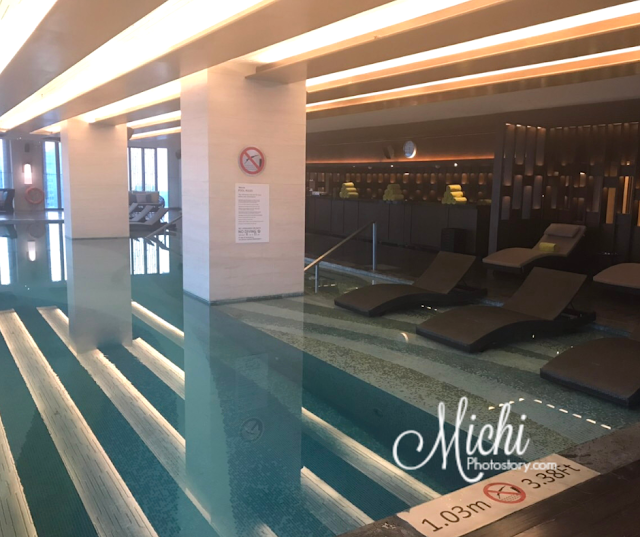 He was able to explore the hotel so he checked the gym, he swam in the indoor pool (lukewarm water) and ate breakfast and dinner at Seasonal Taste. If ever you want to use the gym and you forgot your workout attire, don’t worry because you can order workout gear. Pros: There is a bank in the building so in case you need money, you won't have any problem. My husband exchange Philippines Peso to Indonesia Rupiah. JI H.R. Rasuna Said Kav. C-22 A.